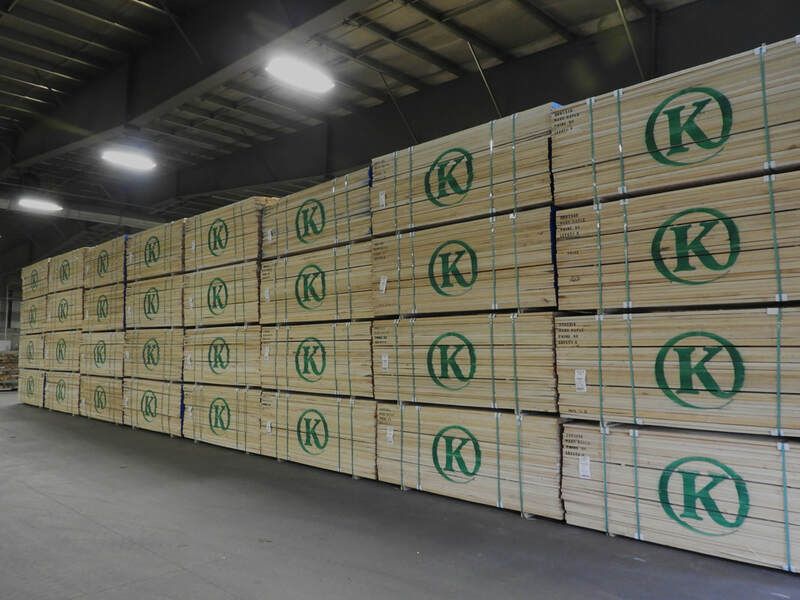 At Kennebec Lumber we offer green and kiln-dried products in Hard Maple, which accounts for over 50 percent of our total volume, Northern Red Maple, Northern Red Oak, and Yellow Birch. Color sorting is available in all species. We specialize in custom grades and colors for the cabinet industry. Along with color sorting, we offer rip to width and surfaced 2 sides and cut to length programs dependent on customer needs. Thicknesses include; 4/4, 5/4, 6/4, and 8/4. We saw standard NHLA grades and custom orders upon request. Please call for Current Inventory: All items subject to prior sale--partial inventory listing - inquiries welcome. Surfacing, ripping, container loading, rail car loading, export preparation available. Proprietary grades, width sorting, and color sorting available in all species. Every two and a half hours our QC personnel conducts physical checks on lumber. Every work center in the mill accurately laser-measures board thicknesses and widths to the nearest thousandth of an inch, every 1/4 inch of the length, at various points during production and upon exit. Daily internal audits are performed on all graders to insure NHLA standards are met. Oven tests are conducted to ensure final moisture of Kiln Dried wood is between six and eight percent moisture content. Stress tests on every kiln charge ensure Kiln Dried wood is properly conditioned and stress relieved. Each kiln charge sample is surfaced to ensure consistent bright, white color. Strict measurements are taken every half hour on the planer to ensure accurate finish thickness. Kennebec Lumber has eight kilns for drying and four T-sheds for storage and air drying. Lumber is loaded from pavement and enclosed sheds. Tarping is never done in the rain. All lumber is anchor sealed for protection against outdoor elements.